This episode Will and Mike delve into the toy box and pull out something truly horrible in the form of ‘The Haunted Doll’s House‘ by M.R. James! 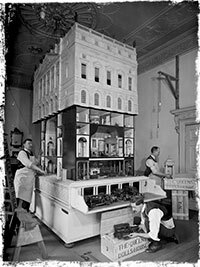 This story was written for a real dolls’ house, the one created by the architect Sir Edwin Lutyens for Queen Mary of Teck between 1921 and 1924. 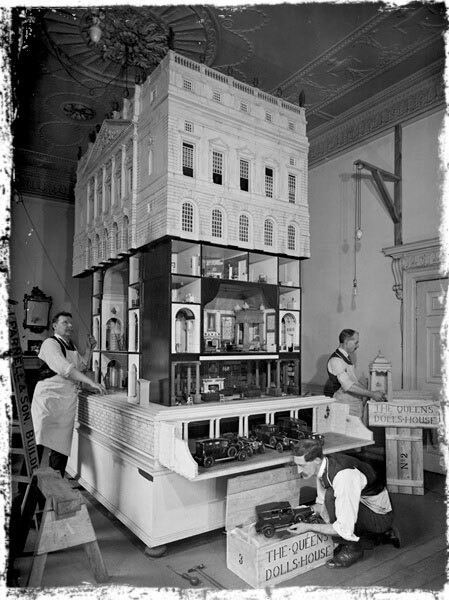 The dolls’ house in currently on display in Windsor. Further details can be found at Wikipedia. James describes the dolls house in his story as being ‘Strawberry Hill Gothic‘ in style, the ‘quintessence of Horace Walpole‘. Walpole’s gothic castle-style house inspired a generation of architects when it was built on the banks of the Thames in London in the mid 18th century. This enjoyable Guardian.com article looks into the world of modern day dolls’ house collectors. Episode 21 of this very podcast featured an interview with filmmaker Stephen Gray who has recently completed a short film adaptation of this story. Watch it on Vimeo. The ever-reliable Ghosts & Scholars website contains a useful set of notes on this story compiled by Rosemary Pardoe. A frog the size of a man? Improvised Radio Theatre – With Dice!